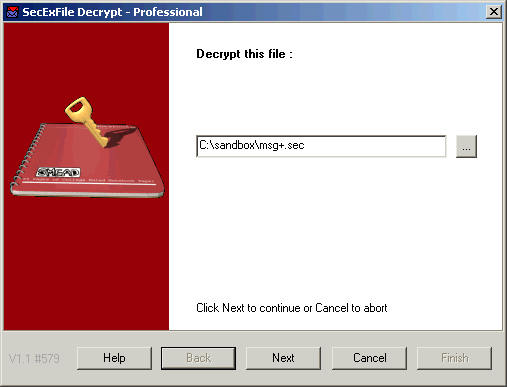 This screen lets you select and confirm which SecExFile archive you wish to decrypt. Click the browse button to select an archive to decrypt. Click Next to continue.